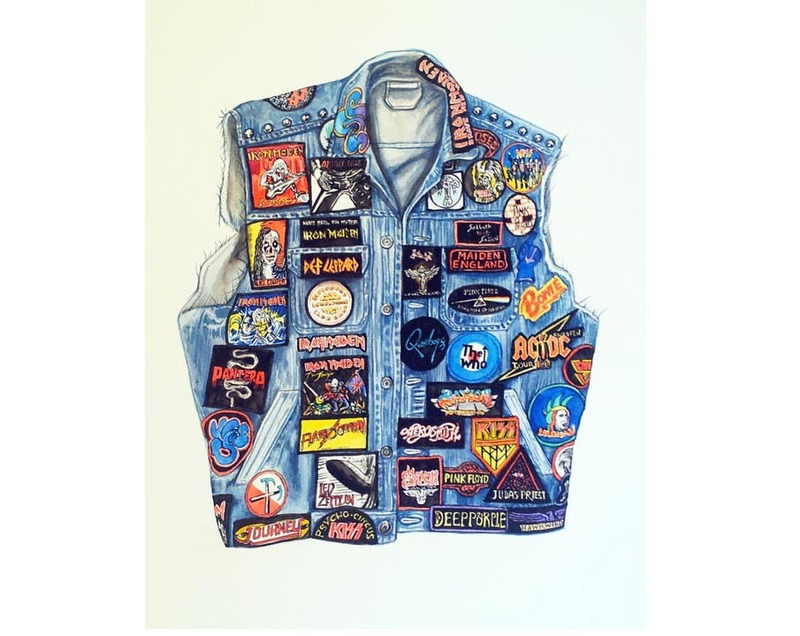 Opening this week at Wimbledon Space, Bad Patch is a new exhibition of paintings of customised ‘battle jackets’ worn by heavy metal fans by artist Tom Cardwell. From Motorhead, Manowar and Sabbath patches to studs and other personal embellishments, the paintings in the exhibition celebrate the contemporary symbols that hark back to past eras in Western cultural history to biker jackets and, perhaps, even medieval heraldry. For the artist, the jackets represent a significant tradition of DIY making practice and act as a display of identity and subcultural allegiance for the fan. 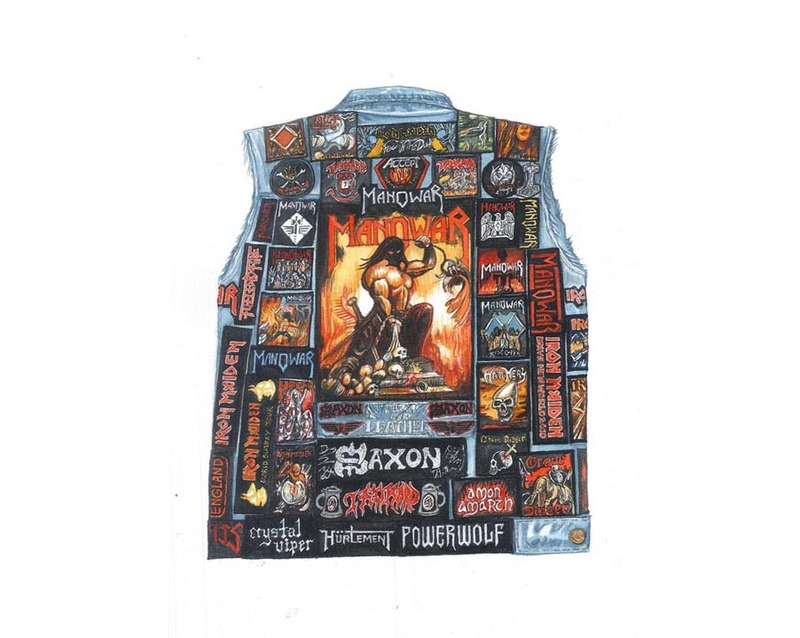 The exhibition is part of Cardwell’s practice-based PhD, which includes a chapter exploring the significance and meaning of battle jackets within the context of metal subcultures, beginning with a summary of the history of the practice of customising jackets by metal fans, ideas of personal subcultural identity, authenticity and resistance. Tom Cardwell, Aiden’s Jacket, 2015, watercolour on paper. Tom Cardwell, Manowar, 2015, watercolour on paper. The battle jacket is an ideal way for a metal fan to express their distinctive individuality, to emphasise their allegiance to the subcultural group, and their distinction from mainstream culture. It shows their status as insiders to the metal scene in contrast to the outsiders of the rest of society. Bad Patch opens at Wimbledon Space with an event on 23 March, 5 – 8pm. Visit the event page for more information. Find out more about studying Painting at Wimbledon on our course pages.